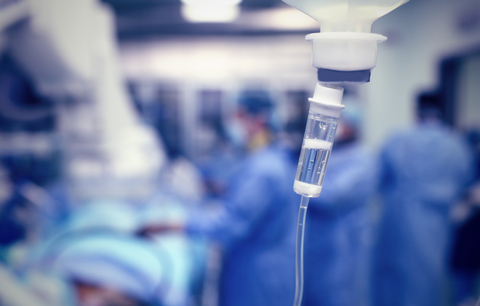 Hospital patients suffer debilitating injuries and sometimes die as a result of errors in connecting tubing or catheters by a nurse or other hospital staff. Intravenous lines, feeding tubes, epidural catheters and umbilical lines are too frequently connected to the wrong port or device, leading to oxygen deprivation or pulmonary emboli that can cause severe brain damage, paralysis or death. Hospital tubing connectors come in standard sizes to fit broad ranges of medical equipment used for various functions. While practical, this also makes for connection mistakes. Patients are connected to devices to administer fluids, feedings, pain medication, oxygen or to monitor arterial blood pressure. In a busy hospital environment, it can be easy for a nurse, doctor, respiratory therapist or physician assistant to attach a device to the wrong tube. Liquid feeding, breast milk or infant formula intended for a feeding tube or NGT is connected to an IV, PICC line, umbilical catheter or arterial line, causing food to enter the bloodstream instead of the stomach. IV solutions meant to infuse into a vein are connected to a nebulizer treatment and breathed into the lungs, causing adult respiratory distress syndrome, or ARDS. Mechanical blood pressure tubing is connected to an IV line, causing air to enter the bloodstream and resulting in an air embolism. Enteral tube feeding is connected to a peritoneal dialysis catheter, delivering food into the peritoneal cavity instead of the stomach and leading to peritonitis. Mechanical air compression stocking tubing is connected to an IV port injecting air into the blood stream, leading to a pulmonary emboli or death. Professional organizations and medical device manufacturers are working together to design devices that will be compatible with accessories intended for those devices only in an attempt to decrease or eliminate wrong tubing or connection mistakes. Learn how to get more information about hospital tubing errors and find an attorney if you or someone you know suffered serious injury or death due to such an error by calling 1-800-243-1100.